Learn how Treya Wilber’s spiritual practice helped her transcend fear and die consciously as told in Ken Wilber’s book Grace and Grit. In this episode I share a powerful and heartfelt interview with Ken Wilber where we discuss the subject of “Conscious Dying” and how the life and death of his wife Treya so beautifully teach us to live and die consciously, as told in the book Grace and Grit. I’m still in Italy as this broadcast airs but will be returning to Colorado in a few days. Check out the photos from my last days of travel on Instagram and Facebook! Hopefully I’ve made progress on my new book, too! As always this podcast is made possible through your generous donations at Patreon.com/eolu. Thank you so much to those of you who have been chipping in every month to help defray the costs of producing and broadcasting this podcast and the End-of-Life University Interview Series! Go to Patreon.com/eolu to become a patron! 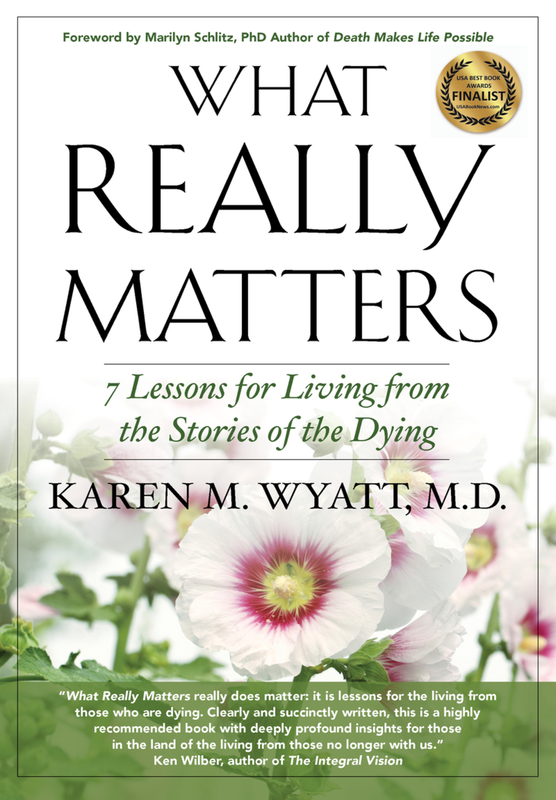 Whether or not death and dying are issues that concern you at this time in your life, you will find value in listening to Ken’s discussion of this important subject. Each of us must come to terms with our mortality in the physical realm and be prepared for an unknown future. Each of us also must face losing those we deeply love, and caring for them through illness and adversity. We can learn from Ken and Treya’s experiences how to love totally and consciously during our lifetimes – and how to let go of that love and life itself when that time arrives for us. His book Grace and Grit chronicles the life and death of his second wife Treya Killam Wilber. Get Grace and Grit on Amazon. There will be a new episode every Monday so come back again and learn with me! If you like this content please leave a review on iTunes.